The Parent/Teacher Ministry is the organization that brings parents and teachers together with the common goal of strengthening the academy program. They have raised money for the new modular classroom building, playground equipment, classroom supplies, and teacher Christmas bonuses just to mention a few of their projects. Parents also serve as volunteers in various capacities throughout the school year. The PTM meets as announced and also sends e-mails to parents to keep them informed. NGCA DISCOUNT CARDS ARE NOW AVAILABLE! 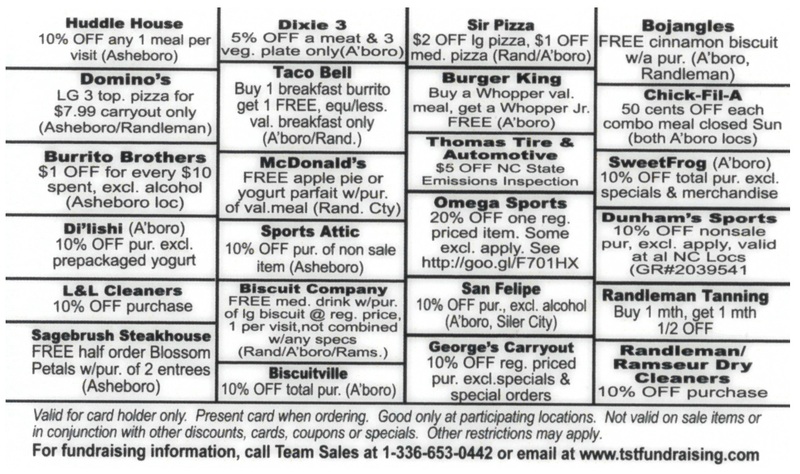 The cards are $10 each and will be good at local restaurants and merchants through August 31, 2015. The proceeds from the sale of these cards go to the PTM and in turn, pay for the modular unit and other events/items for the school.